Why is Cheetos Called Cheetos? From humble beginnings to a cult following, Cheetos graduated from Charles Doolin’s kitchen to become a front runner in the category of addictive, messy snack. In case you do not know what Cheetos are, they are a cornmeal-based snack that vary in size and shape, are fried like a donut or steam puffed, and then coated in cheese powder. Cheetos come either puffy or crunchy, and they came in a host of flavors, such as Cheese, Flamin’ Hot, Sweetos (cinnamon sugar puffs), Pepsi in Japan, Ketchup in Poland, Strawberry in Russia, and oddly enough, Japanese steak flavor in China. Doolin was an inventor, farmer, and took part in many other creative, industrious and business savvy things. One of the smarter things he did was purchase the Frito recipe for $100 in 1932. Doolin worked away in the kitchen making Fritos with his mom, dad, and brother Earl. Using an adapted potato ricer and premade masa dough from the local tortilla factory, they created Fritos by thinning the masa dough, pressing it through the potato ricer, and cutting the ribbons of dough with scissors before tossing them in the fryer. Doolin owed thanks, in part, to the US military for Cheetos since it was during the 1940’s that the government was looking for ways to dehydrate and preserve food. Their research gave us the cheese powder we see today on foods like Cheetos, Doritos, and in boxed macaroni and cheese. In 1948, Crunchy Cheetos began being produced by the Frito Company. 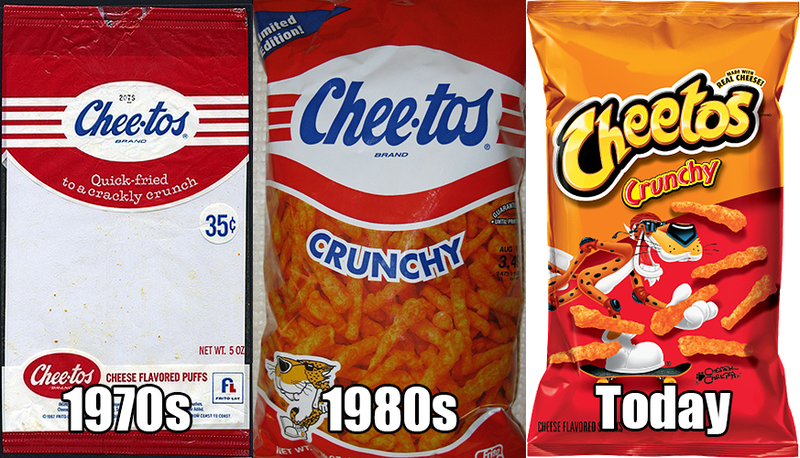 As technology advanced, Cheetos Puffs came to market in 1971. 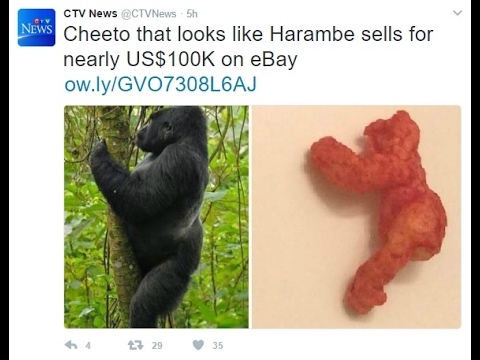 We all know Chester Cheetah is the mascot for Cheetos. With his super white sneakers and snazzy attitude, Chester keeps Cheetos hip, fresh, and on point. Chester came on the scene in the mid-1980s with a hip-hop sound and message that pushed the envelope. BUT, did you know that Chester’s predecessor was a mouse? A mouse! The original Cheetos mascot was Cheetos Mouse and his appearance was like Mighty Mouse meets Speedy Gonzalez. Cheetos Mouse famously referred to Cheetos Baked (the predecessor to Cheetos Puffs) as having a “delicate crunch” and Cheetos Fried (the predecessor to Cheetos Crunchy) as having a “crackly crunch” in every commercial. Why is it Called Cheetos? There is no clear reason on how Cheetos got its name. 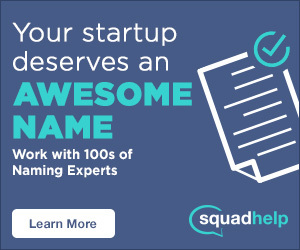 I’m tossing this idea into the atmosphere to see what responses pop up (drop us a comment below and we may just quote you in the article!) In the early years, Cheetos was spelled Chee-tos (with a dash) and were made by the Frito Company from Frito ingredients. Fritos. Cheesy Fritos. Cheetos. See the progression? SEE ALSO: Why is Doritos Called Doritos? Do you like to spice your Cheetos up? Flamin’ Hot Cheetos started in the 1970s when Cheetos janitor Richard Montañez started adding chili powder to his Cheetos. He pitched his idea to the CEO at the time and the rest is history. Montañez is now an executive Vice President at PepsiCo North America, the parent company of Cheetos. Talk about a promotion!